Redlands is quickly growing as a destination for entertainment in the Inland Empire. From old traditions and glimpses of the past to new places to explore, there is a wide variety of activities for children in Redlands. 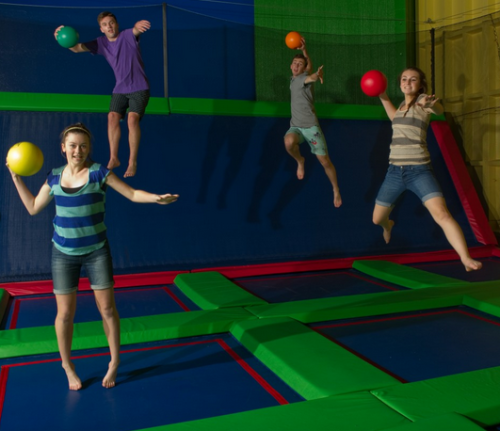 Skytown has several trampoline areas including a foam pit, dodgeball court and a balance beam. It requires everyone to sign a waiver and children under 18 must have it signed by a parent (available on website). Special events include Toddler Time on Thursday mornings when everyone has to abide by more gentle bounce rules and ‘Kosmic Kingdom’ Friday and Saturday nights with jumping to music and lights. ‘The Y Circus’ is the destination to learn how to juggle, ride a unicycle, swing on the trapeze, make balloon animals and other circus performer skills. The circus was founded in 1929 and started giving performances several years later. Every May the gymnasium of the YMCA hosts performances for the group, which has had students and alumni go on to perform internationally. Formerly Pharoah’s Lost Kingdom, the park has been resurrected into a water park with extra features to provide fun for the whole family. 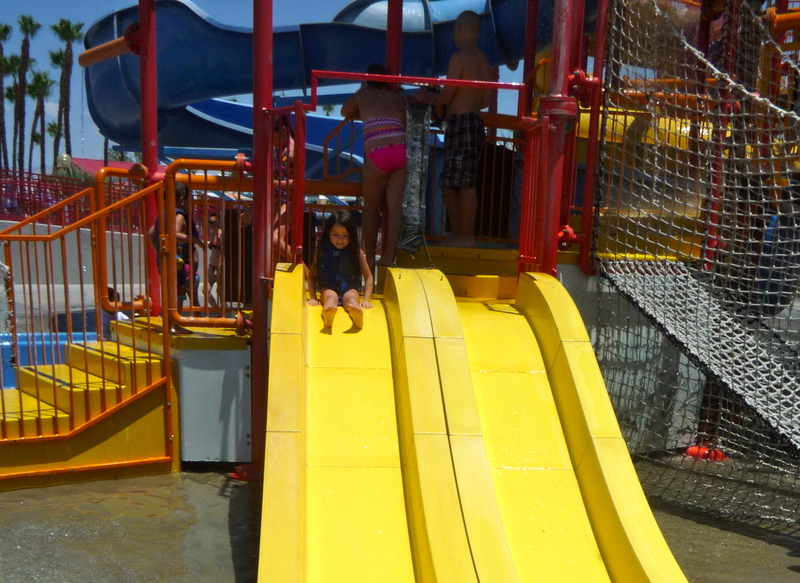 Water park amenities include a lazy river, giant slides, wave pool and a kiddy pool. Splash Kingdom also has go karts, an arcade and other attractions and a sports bar upstairs. Season passes and family discounts are available. The San Bernardino County Museum is home to large collections of land birds, sea birds and their eggs on the top floor, including a California Condor. The basement has local mammal and reptile life displayed as well as bison and a polar bear and a large geological collection. There is also a locomotive, mining equipment and gardens. The museum rotates exhibits with local focus and has regular family events. The farm breeds and sells hundreds of bird species, bird care supplies and food. The farm is free to stroll through and includes a variety of animals outside including camels and cows. The bird farm houses an aviary with free-flying birds in it for visitors. Leave with some wild bird seed to feed backyard birds. The Young Reader’s Room in A.K. Smiley Public Library has computers, books, and puzzles to occupy children. The library hosts several half-hour storytime including evening preschoolers and Chinese and Spanish. There are two ‘tiny tots’ storytimes on Thursday mornings. The bowling alley has a small arcade and a diner and has open bowling daily with couch seating by the lanes. Thursday and Saturday nights they have a family special for up to five people and includes shoes and a pitcher of soda, and Saturday mornings the bowling alley hosts three juniors’ leagues. There is also a small bowling shop on the premises. Once kids reach a certain age, there begins the lament of “There’s nothing to do,” or “I’m bored,” on a weekly, daily, or (on really bad days) an hourly basis. While my usual philosophy to these cries is to assign a chore, once kids reach a certain age you can’t take it for granted when they want to hang out with you because it won’t last much longer. To that end, here is a collection of fun stuff you can do with your pre-teen here in the Inland Empire. Like a classic with staying power, skate parties, sessions, and rinks are still around because it’s simple fun, gets your blood pumping, and comes with dance music! Our area offers us Skate Express in Chino, Cal Skate in Grand Terrace, Roller City 2001 in Riverside, and Roller City Plus in Fontana. 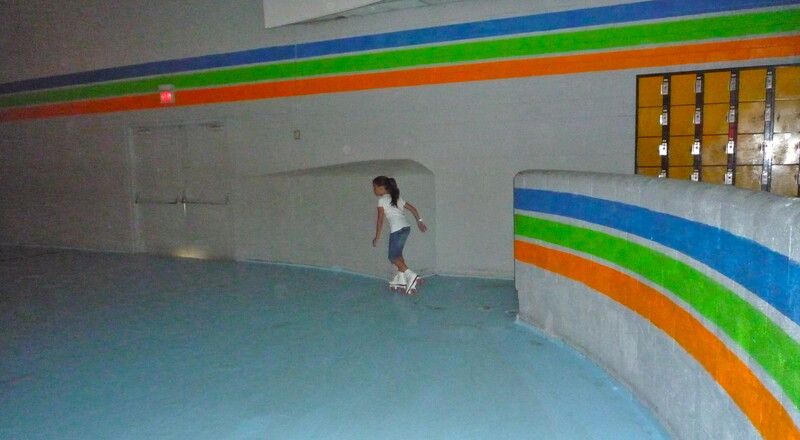 The Inland Empire area also brings us quite a few ice skating rinks like IceTown in Riverside, Ontario Center Ice Arena and Ontario Ice Skating Center both totally different places in Ontario, and last but not least Desert Ice Castle in Cathedral City. Laser tag can also offer an exciting time or a good party. We have Laser Quest in Chino, Laser Island in Upland, and Triple O Lazer Tag in Moreno Valley. Paintball takes this notion up a notch, Jungle Island Paintball & Airsoft Park in Lake Elsinore comes complete with a Little Warrior Arena especially for kids 6-12. Along with Action Star Games Paintball Park in Colton and SC Village Paintball & Airsoft Park in Corona both with a minimum age requirement of 10, the inland has your pre-teen covered. If heart racing is how you like your fun, try indoor go kart racing at K1 Speed in Ontario, San Bernardino Raceway, or Pole Position Raceway in Corona. Adams Motorsports Park in Riverside not only has outdoor kart racing but a Racing Academy with classes for ages 5-95 and a plethora of other motorsports available to watch. The Auto Club Speedway in Fontana offers a quite a few races and other events to watch as well. If your family enjoys watching sports together, save money on gas and support a local team. Minor league baseball teams like The Inland Empire 66ers, Rancho Cucamonga Quakes, and Lake Elsinore Storm, have been around for years and offer tons of fun and great deals for families. If baseball isn’t your thing, try heading to the Citizens Business Bank Arena to watch the Ontario Reign hockey team or the Ontario Fury arena soccer team or any number of other special events. Lately my pre-teen has been singing “Let It Go” all day non stop on repeat so that must mean its time to take her to a show! The Inland Empire has TONS to offer in terms of local theatre. From a show at Landis Performing Arts Center in Riverside to California Theater of the Performing Arts in San Bernardino or the Lewis Family Playhouse in Rancho Cucamonga the inland has got you covered. Plus there is even more theater in our community if you can appreciate all of it that exists on a smaller scale as well. These theaters include but are not limited to: the Yucaipa Little Theatre, LifeHouse Theater in Redlands, Redlands Theatre Festival, Old Town Temecula Community Theater, Chino Community Theatre and the list goes on. There are players and productions ALL OVER the Inland Empire. With the weather warming up, the days are quickly approaching when places like The Cove Waterpark in Riverside, Soak City in Palm Springs, Splash Kingdom in Redlands will be opening. A brand new Drop Zone water park in Perris is set to open by Memorial Day. There are a few local parks that also offer water play including Celebration Park in Moreno Valley, Doty Trust Park in Riverside, or Citrus Park in Corona. Days vary as to when they “turn the water on” so check with your local park for the days and times. 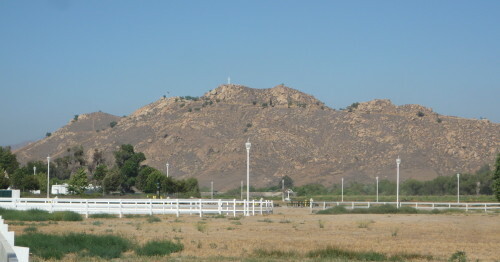 View from Rancho Jurupa Park. If you have an outdoorsy kid that loves to camp, fish, hike, bike, or just generally explore may I suggest Rancho Jurupa Park in Riverside or Lake Perris in Moreno Valley if you need to add boating to that list. The former has a splash pad and miniature and disc golf courses and the latter not only offers you the opportunity to boat but to watch the occasional boat race. To be honest though, growing up here some of my favorite parks were the San Bernardino County Regional Parks, Prado (for the tadpoles) and Guasti (for the pool) in particular. 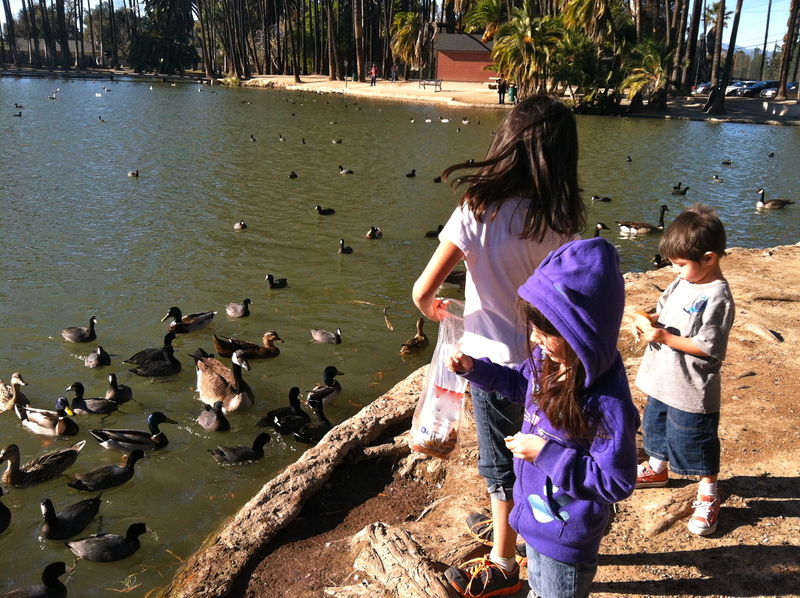 Some city parks can offer up some great experiences too like Fairmount Park in Riverside (hungry ducks anyone? ), look around and find one the whole family can enjoy! The last thing I wanted to share was that good old Fiesta Village, an IE classic for almost 45 years, has kart racing, laser tag, a water park, outdoor rollerskating, and batting cages along with all the other fun stuff like mini-golf, arcade games, and amusement rides that accompany your typical Family Fun Zone. There are reasons a classic remains a classic. Have you signed up your kids for Apple Camp? Join local moms at Apple Camp for three-day workshops where kids ages 8 to 12 bring their imaginations to life. They’ll learn to make movies or create interactive books complete with their own illustrations and sound effects. And each workshop ends with the Apple Camp Showcase so campers can share their finished projects. California Inland Empire Small Business Development Center is investing in the next generation of business owners by offering $2000 to a Young Entrepreneur in the Inland area. 1. A cash prize of $2,000 sponsored by the Arlington, Downtown, EastHills, Hunter Park, La Sierra, and Magnolia Center Business Councils to be presented during Riverside Business Week. 2. Opportunity to be a featured presenter at the Riverside Business Expo & Mixer on Thursday, June 19, 2014. 1. Entries are open to persons 18 through 35 who have owned/operated a business for at least a year and the business is located in Riverside. Applicant must be the business principal/owner. a. How did you start your business? b. 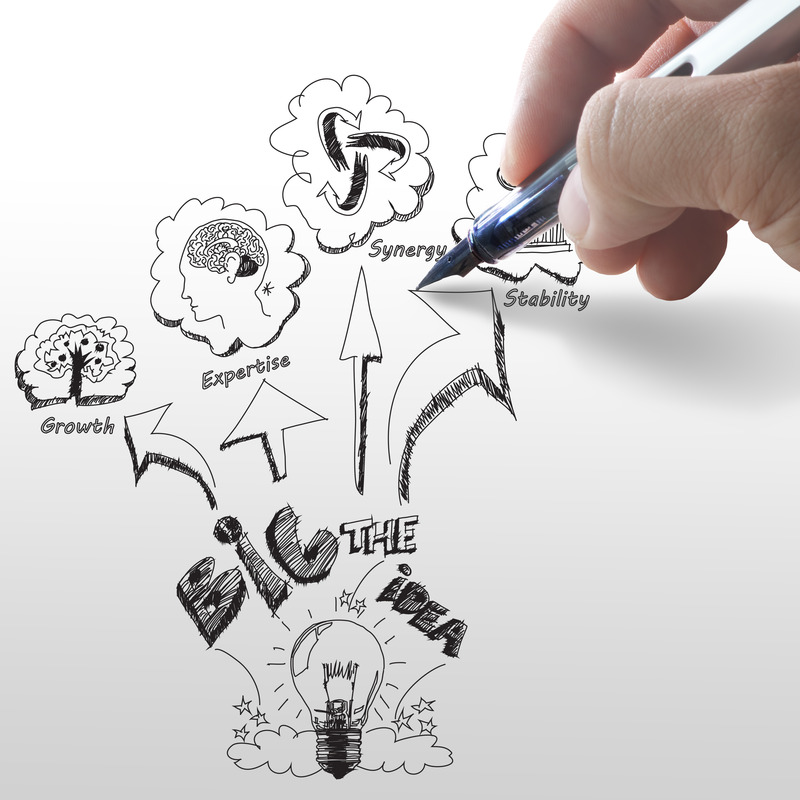 What problem does your business solve with its products and services? c. Where do you see your business in the next five years? d. What advantages do you see in having your start-up in Riverside? e. How would you put $2,000 to use? 1. Starting May 9, 2014, business plans and videos will be accepted for consideration. Submission deadline is June 6, 2014 at 5:00 PM. 2. Preferred method of submission: Email the following to kstraine@riverside-chamber.com Business Plan – PDF (Include contact information and business tax ID) Video – Link to online posting through YouTube, Vimeo, etc.